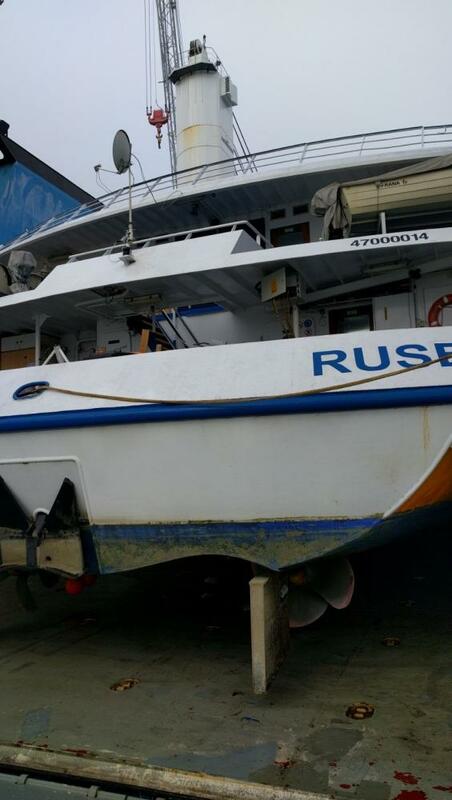 The semi submergible vessel, MV. 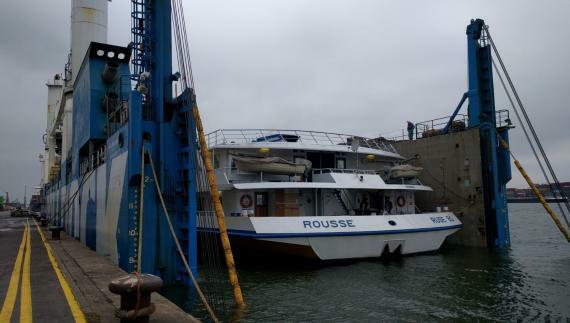 Rolldock Sea, carrying a river cruise vessel named 'Rousse' with dimensions of 113 x 16 x 1.7m and a draft of uw. 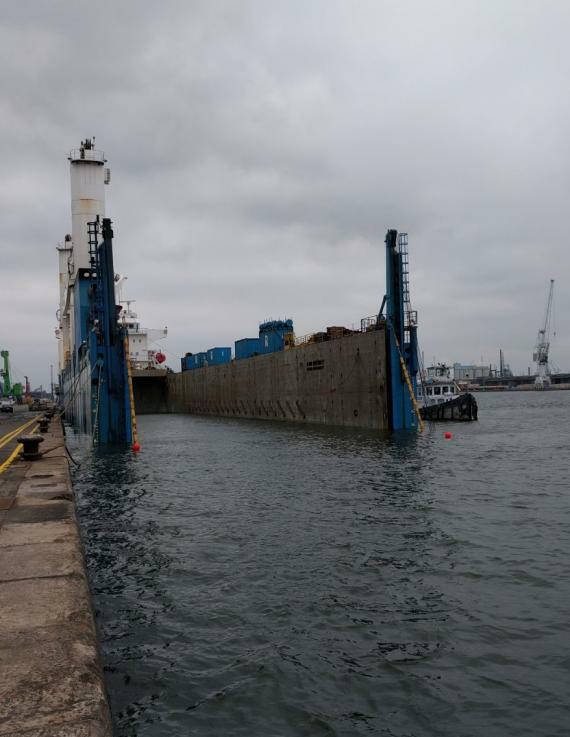 1,400mtns, sailed from Constanta Port in Romania and arrived at the Abes/Katoen Natie Terminals (Quay 351) of Antwerp Port under the agency of PCN members in Belgium, Europe Cargo. 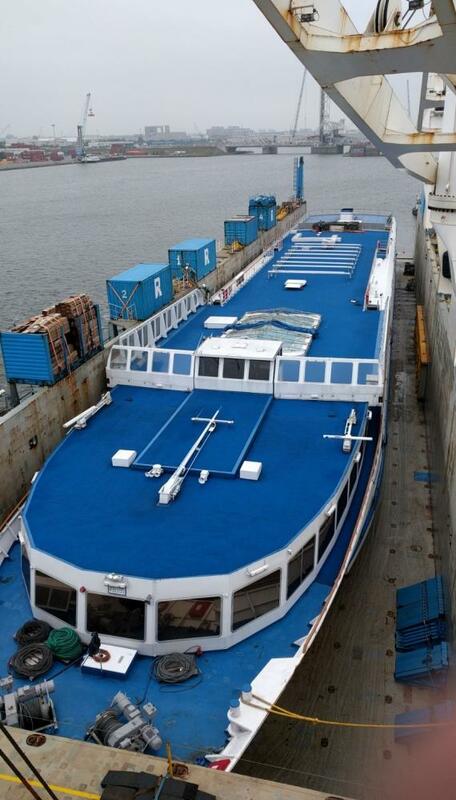 After arrival, the unlashing of the river cruise vessel commenced at 07.00 and took 4.5hrs. The ballasting of MV. Rolldock Sea then started at 15.30 and was completed at 17.30. 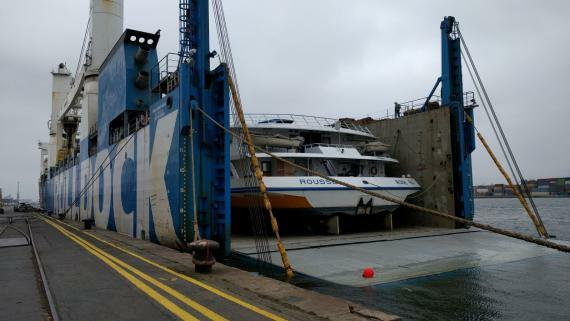 The actual float-off operation in a submerged position began at 17.50 and was completed at 18.12, with MV. Rolldock Sea de-ballasted by 19.30. 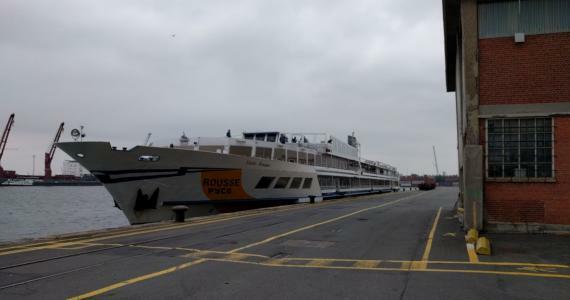 Sanne Denessen of the Forwarding Department at Europe Cargo comments; "The river cruise vessel will be used by its owners, Rederij Le Formidable, for party trips from Antwerp Port to Amsterdam Port, including city trips and hotel stayovers. 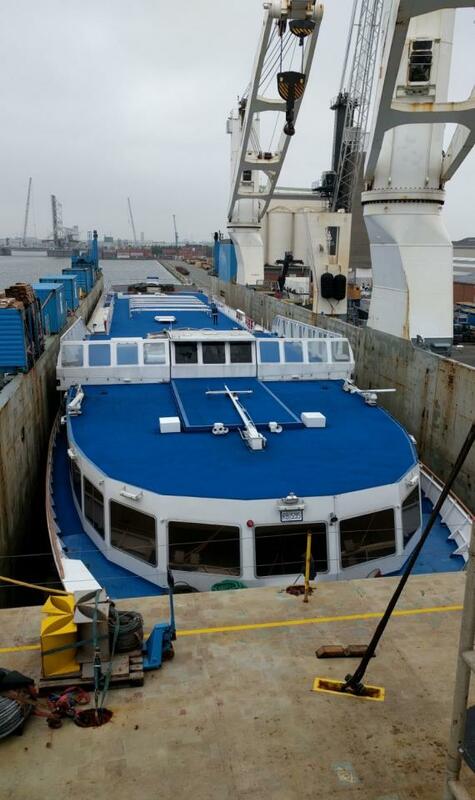 We are very happy to have been a part of this unloading!" 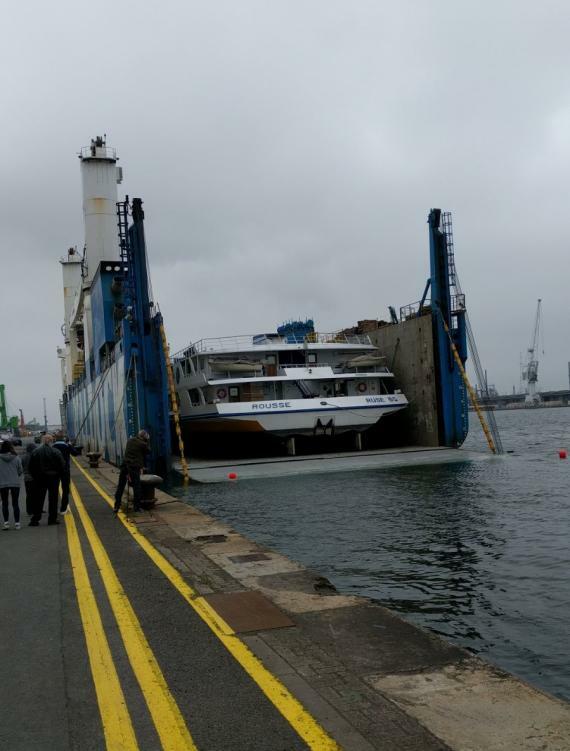 Please click below for photos of the operation and congratulations to Europe Cargo on a successful and interesting project!